The Rev. Maurice Mitchell of The First Presbyterian Church of Hillsboro has announced his retirement. The Rev. Maurice G. Mitchell with the The First Presbyterian Church of Hillsboro has announced his retirement. Mitchell grew up on a farm in Perry County. He graduated with a bachelor’s degree in education from Ohio University and a master’s of divinity degree from the Louisville Presbyterian Theological Seminary. Maurice has served as a full-time pastor for 42 years. Mitchell’s ministry began at the Van Buren Presbyterian Church in Van Buren. While serving in Van Buren, Mitchell met and married his wife, Debbie, of 41 years. During his time in Van Buren, the church building caught fire and was a total loss. Mitchell lead the congregation through the rebuilding process. He then went to serve the First Presbyterian Church in Caldwell. In Caldwell, Mitchell was instrumental in helping to provide health care to those in need through a partnership with The Synod of the Covenant’s Mobile Health Fair. The last 25 years, Mitchell has served The First Presbyterian Church of Hillsboro in Hillsboro. Mitchell, along with his family, began a successful puppet ministry that has served the church as well as the community. 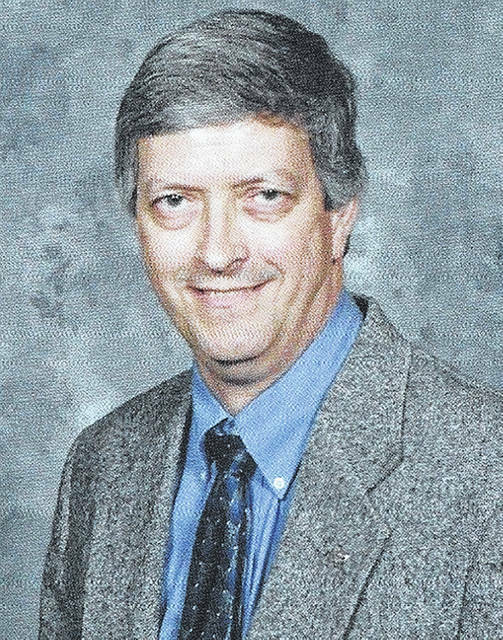 Mitchell has been a 25-year member of the Rotary Club of Hillsboro where he served as president and was instrumental in beginning a dictionary project that provides approximately 450 dictionaries each year to the third-graders in Highland County. He was honored as a Paul Harris Fellow and received the honor of Rotarian of the Year four times. Mitchell has also been active with the Emmaus Community in Wilmington for the last 24 years, serving as spiritual director, where he has touched the lives of many. Maurice and Debbie have purchased a retirement home in Wilmington. Maurice and Debbie’s children, the Rev. Christy Mitchell of Gladys, Va., Audra Mitchell of Cincinnati and Nicholas Mitchell of Troy, along with the congregation of The First Presbyterian Church of Hillsboro, will host an open house/reception at the church at 201 E Main St., Hillsboro, on Sept. 15 from 2-4 p.m.
https://www.timesgazette.com/wp-content/uploads/sites/33/2018/08/web1_RevMGM.jpgThe Rev. Maurice Mitchell of The First Presbyterian Church of Hillsboro has announced his retirement.